There is this saying that great artists always leave an intentional flaw in their work so they, and their audience, will remember that God alone is perfect. Well, I’d like to say that’s what I did…but no. CM is flawed and imperfect wholly because there were typos I failed to catch. Yes, I picked up the book for the first time and flipped it open to Roberta’s wonderful essay and, SLAP, there it is: TYPO RIGHT IN THE HEADER! (Sorry, Roberta! And we’re fixing it for all future editions as we speak!!) But, at some point in January this year, a thought crossed my mind. ‘Just get it done. It will never be perfect but it needs to be done.’ And that is what we aimed for. So, is the book flawed? Absolutely. Aren’t we all? But it is better than perfect because it is done. Seriously. Being a writer does not make you an editor. And if you are a writer and you have a good editor, whether professional or not, then you should send them a bunch of flowers or bottle of wine. I mean….RIGHT NOW! Having someone who is willing to read your work and critically examine it for errors, and typos, and flow is amazing. You might not always agree with them but they are worth their weight in gold. Cause, here’s a secret for you…few of us are really good writers. Most of us are mediocre writers who, with someone’s help, and polishing can create something that shines, that’s worth someone else reading. If you’ve found that person. Never. Let. Them. Go. I don’t know about you but I often find it hard to believe that people are waiting around to be good, to do stuff to help me, to give assistance without expecting anything in return. I find that very hard to believe mostly because I want to do everything. And I want to do it myself (that way I can be assured that it will be PERFECT!) But it rarely is and, with that attitude, so much doesn’t happen because I can’t do everything myself. I need other people. And those other people aren’t going to screw everything up. They might do it differently but they will do it well. And well is better than perfect too. One of the hardest parts about editing CM was that I could, and still cannot, read several of the essays without bursting into tears. Miranda Gaanderse’s essay, for example. I cannot read about the wedding napkins in the refugee camp without tearing up. And I have read that essay at least 50 times. That means that it resonates with me and that somewhere in my brain or heart there is a little release and relief that… “Yes! Someone else felt the same way I did. Someone else knows what it’s like.” Graham Greene once wrote, “Sometimes I wonder how all those who do not write, compose, or paint can manage to escape the madness, the melancholia, the panic fear which is inherent in the human situation.” Reading and writing to know that we’re not alone is a powerful reason to do so. Aid Works features London book launch! Check out AidWorks, an organisation which helps organizations in Africa to strengthen their system and supports local and international development workers to reach their potential. For the full launch details click here. 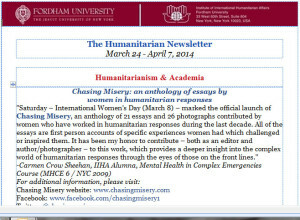 Fordham Universities Humanitarian Newsletter Featuring CM! 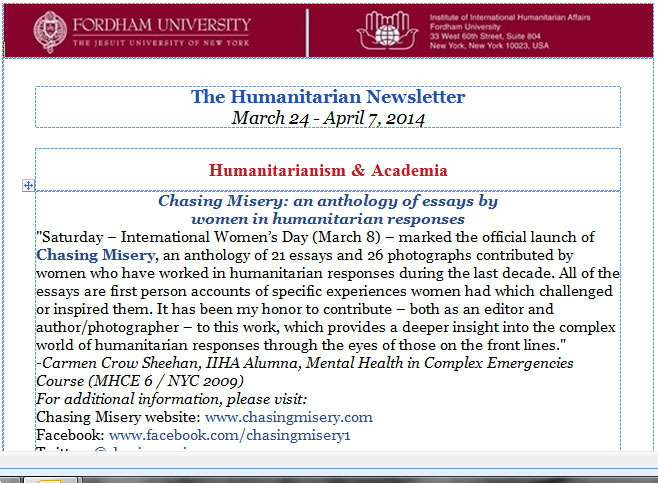 Click here to go to Fordham’s online newsletter! Reading the first Chasing Misery book inspired me to also put pen to paper. I have never been one to share my stories from overseas – not wanting to bore my friends and family, and also more importantly I struggle with how to explain things in a way that people can understand. I remember once trying to tell a story from South Sudan, and a friend explaining loudly “Where’s that?”, “South Sudan is in eastern Africa, bordering Kenya, Uganda, Ethiopia, CAR and Sudan”, “eeeee Africa! !” (said with a Geordie accent). I knew at that point it would be difficult to carry on and explain the work that my NGO was doing to support people affected from decades of war. Although I have always been a very outgoing person – I have found that over the years I am reluctant to share my experiences and instead I will pass it all off as normal and mundane – and focussing on aspects of the work / life such as food or the social life. Things people can understand or relate to. Today I am back home in Edinburgh and I have been packing away beautiful pieces of material which were generously given to me in Pakistan from communities and my colleagues. In the cold Edinburgh rain I bought for the first time vacuum storage bags. I took great satisfaction from the experience of packing the items into a plastic bag, sucking the air out with a vacuum cleaner, and the resulting smaller package for easy storage – although more likely never to taken out again. Through this, I also realised that this is what I am also doing with my experiences. Sucking the air and substance out of the experiences and sharing only smaller “easy” sections with people. My mum often asks me before I travel overseas how I cope. How do I cope with seeing such suffering? How do I cope with hearing the many stories and news of such terrible things? How do I cope with hearing that a woman has no breast milk to feed her baby? How do I cope? I shrug … “It’s ok mum, it’s normal, I’ll cope”. Hoping that I will cope. 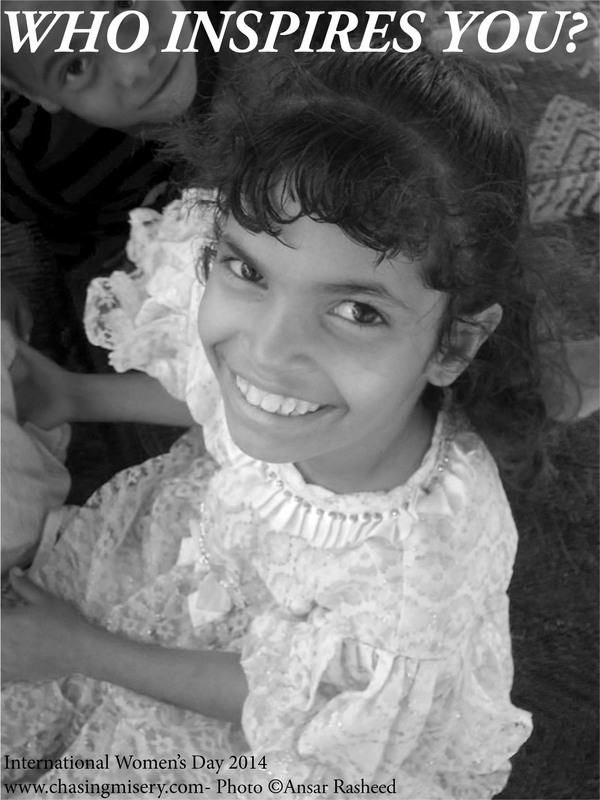 When I go overseas I share the beautiful photos with wonderful beautiful smiles and people adapting and coping with their new circumstance (whether faced with drought, floods, violence). Children excitedly greet me with their skinny legs and bare chests exposing malnourished ribs. Beautiful smiles and laughter fill the air. And I cope. Even with fellow aid workers no one shares their actual experiences – however there is a commonality between experiences. 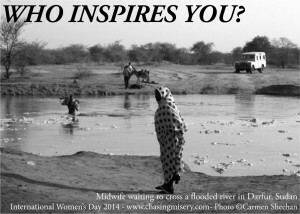 I try my best to avoid the bravado situations, “oh well … in Darfur I experienced something even worse ..”. Instead most of us stick to the “easy” subjects such as headaches with proposal writing, the never ending coordination meeting, the good looking pilot, etc. 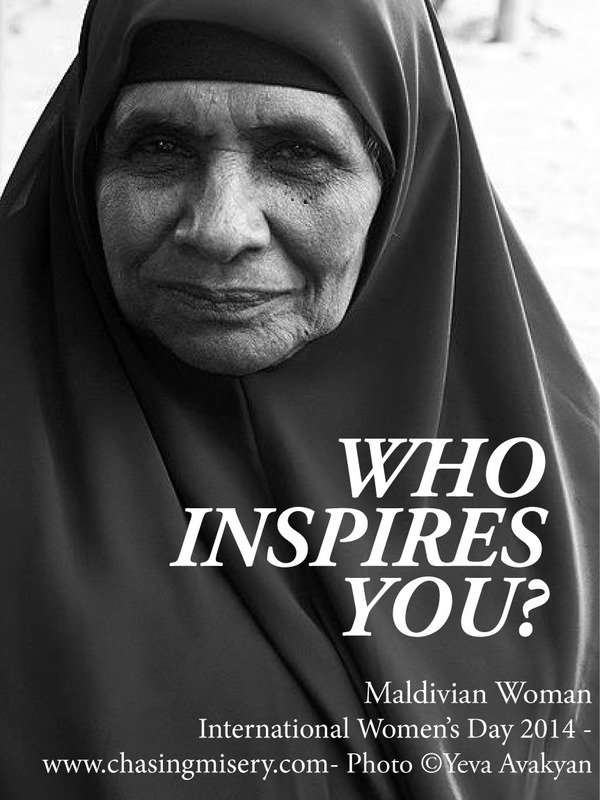 However there is an unspoken understanding of the challenges we have all faced. Frustrations with a difficult colleague who you are expected to live and work with 24/7, sleeping in an small tent in 40 degree heat, extreme fatigue after many late nights working on a proposal, and multiple days of only eating beans and rice. We learn incredible levels of patience and tolerance. We try to remain calm in the face of any challenges. And we are very hard on ourselves when we do not succeed. Why do we do this work? 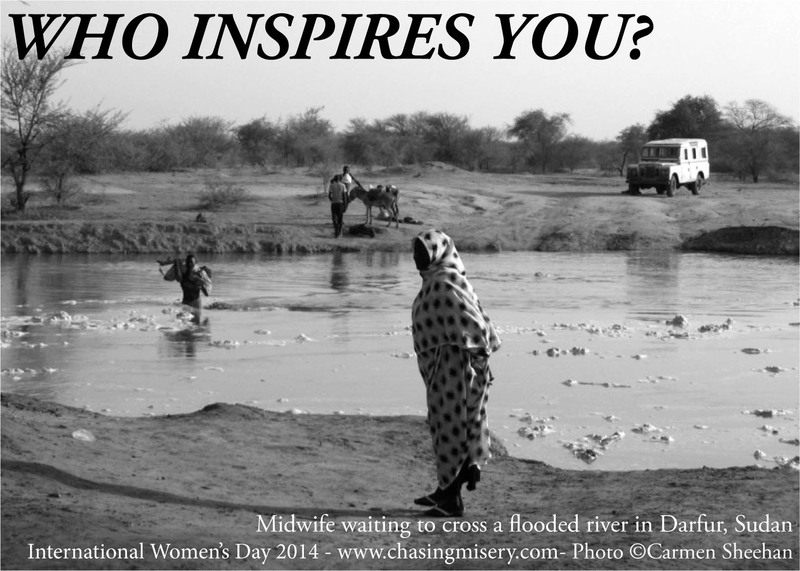 What do we sacrifice for working overseas in aid work? For me it is all the things that provide a common shared experience with friends and family at home – friends birthdays, birth of friend’s babies, new cinema releases, flowers coming into bloom in the Spring, trying the food in a new restaurant, nights out. This cannot be found or re-enacted over a coffee every 6 months with friends. 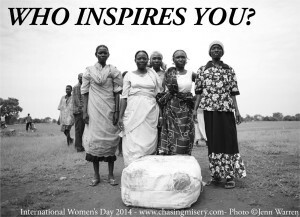 I am forever thankful for an article developed by The Headington Institute which clearly listed out the multiple motivations for working in aid work – helping people, excitement and adventure, meeting new people. Phew! I was seriously relieved that it wasn’t only the purely altruistic motivations for people to join this line of work. The excitement of joining a new office and meeting all the people that you would be closely working with, the excitement of flying in a helicopter or aeroplane over a desolate and yet beautiful landscape, the excitement of driving on a road in which you’re convinced you’re the only foreigner to have ever travelled that exact section of road, and even the excitement of going to one of the aid worker parties that Friday night (!) 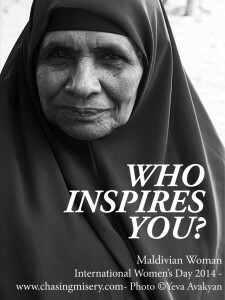 make up some of the motivations for this work. So thank you Chasing Misery for sharing your experiences – the book made me cry multiple times – however I think I need to find a way of opening up and sharing more with others. 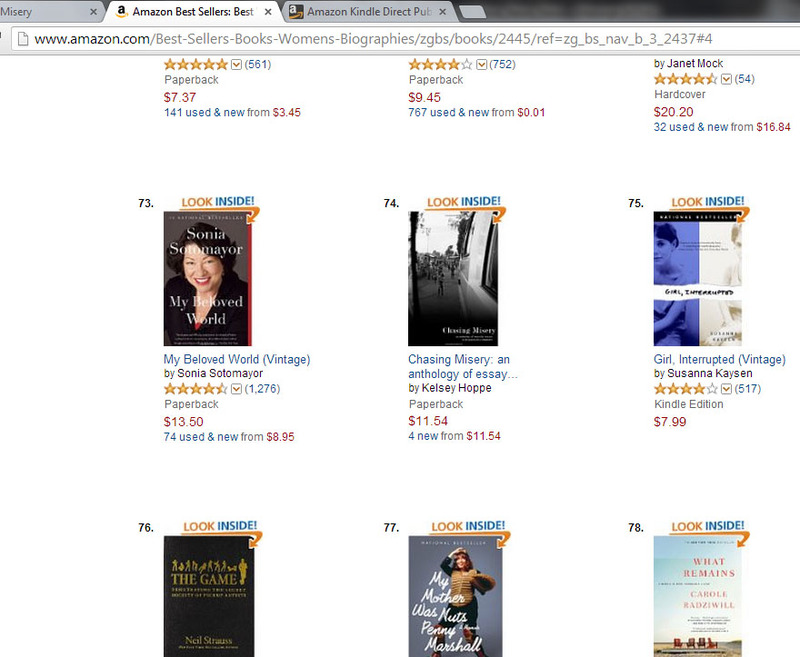 On that note I look forward to contributing to Chasing Misery #2. 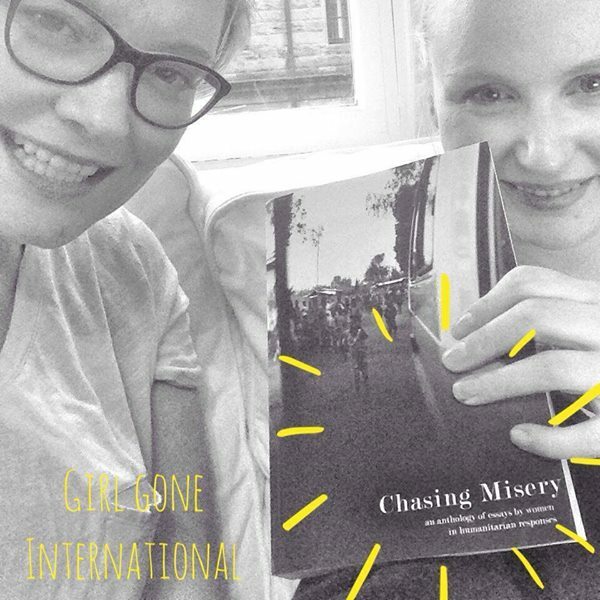 The lovely ladies over at Girl Gone International show off their copy! Check if out, if you haven’t already! American School of Japan features contributor Carmen Crow Sheehan! CM Contributor, Carmen Crow Sheehan, is featured in her alma mater’s newsletter – for more: click here! 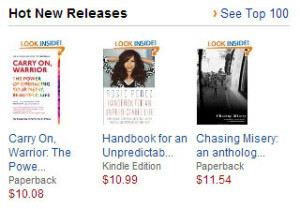 Well, who doesn’t want to be one of Amazon’s ‘hot new releases’? Thank you very much! Headington Institute’s Launch Day Blog! We’re excited that part of this venture is supporting the marvelous Headington Institute as they help first responders and aid workers in their ongoing work. Read their full launch day blog here! 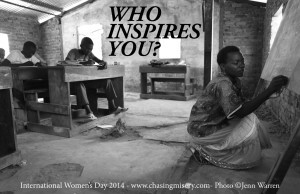 In honor of International Women’s Day, we would like to celebrate the exciting book launch of Chasing Misery! Many thanks to the wonderful essayists and to all of you who daily inspire us with your courage and vulnerability.